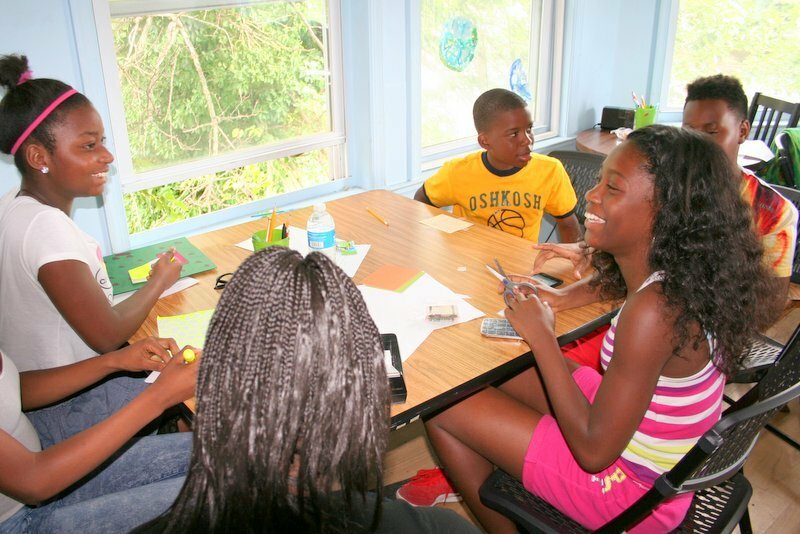 Above: Young people play a relaxing game of Uno in the St. Francis Neighborhood Center’s recreation room. The dog days of summer in Baltimore can be hard on children, especially if they’re playing outside in the heat. 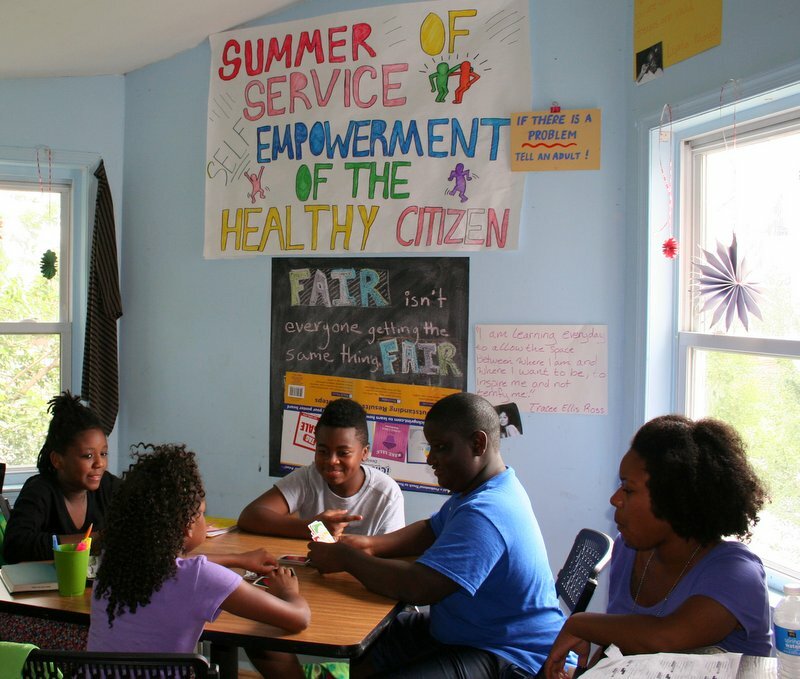 But during a recent visit to the St. Francis Center in Reservoir Hill, the 47 children signed up for the center’s summer camp were cool, busy, engaged in activities to improve their community and having fun. 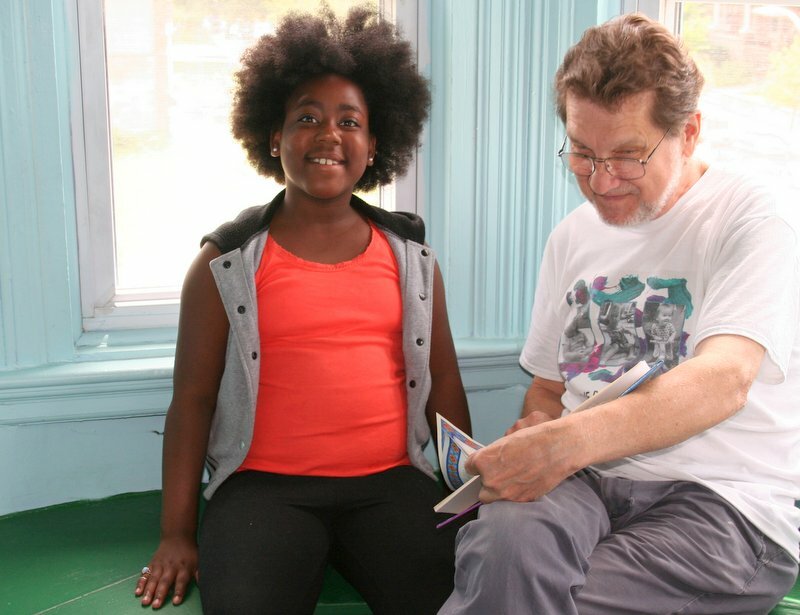 Tucked in a quiet, air-conditioning cupola on the second floor, Nyelle (the center asked that the children’s last names not be published) sat in rapt attention with Bill Brownley, who volunteers in the tutoring program. “I’m working on my reading,” Nyelle said, looking up from a copy of Tales from the Arabian Nights. Michelle Smith, whose 12-year-old son Jamel has been attending St. Francis for six years, said the center is the best thing that has happened to him. “This summer he is working on a drone with a team from Digit All Systems and Johns Hopkins,” said Smith, a single mom who works full time. “The other day, the campers went on a field trip to The Museum of Industry,” she said. Torbin Green, the center’s outreach coordinator, gave a tour of the expansive four-story house, showing off the community library and tutoring area, which doubles as a yoga room and work space. There’s a separate room stocked with computers, many of them donated by Baltimore-based Digit All. Also a kitchen with fresh fruit for the campers’ snacks and three classrooms, including one where Code in the Schools was teaching the camp’s youngest members about technology. Near the top of the building students were working in groups on a book about bullying, one of the summer’s five service learning project themes. With its stately Victorian houses, manicured lots and purple Rose of Sharon bushes in full bloom, that part of Reservoir Hill was looking almost idyllic last week. But the neighborhood does have a duality, Green says. Like many neighborhoods on the West Side, it struggles with drugs and crime, although it’s not always obvious. “It is beautiful here,” Green noted, talking about the effort that the center and other nonprofit partners and residents have put into taking care of the community. But then as he walked around the center, his talk turned to the nearby city-owned “German Park” where dealers hide their wares in the park’s mulch. “The kids, they know what drugs are and that they shouldn’t touch it and to come find one of us,” he said. 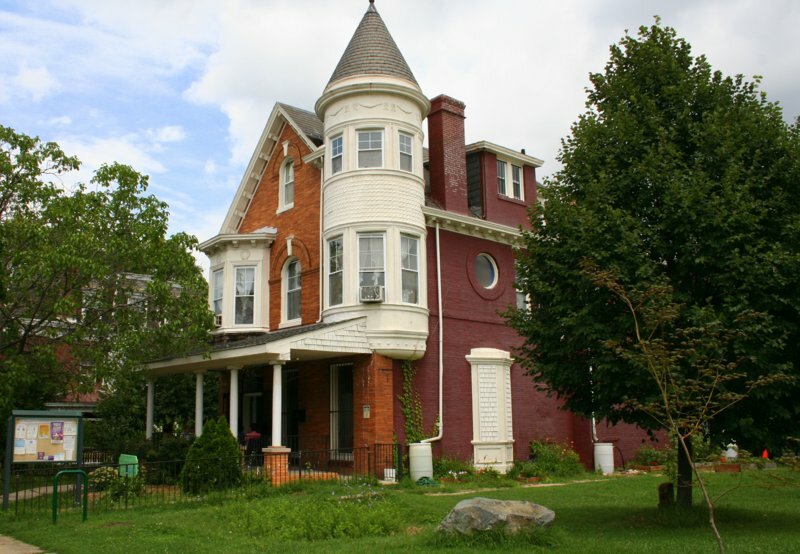 The Saint Francis Neighborhood Center was founded by the Catholic Church in 1963, but has been a secular nonprofit for more than 40 years, Green said. Father Tom Composto, a Jesuit priest, now deceased, was its longtime leader. 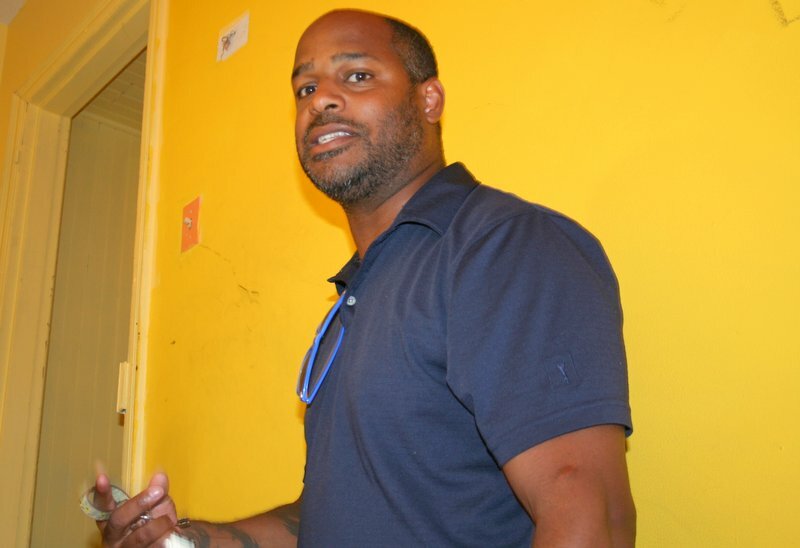 “Compasto was known as the ‘Pope of Whitelock Street’ and was a force in the neighborhood and helped keep the drug dealers at bay,” Green explained. 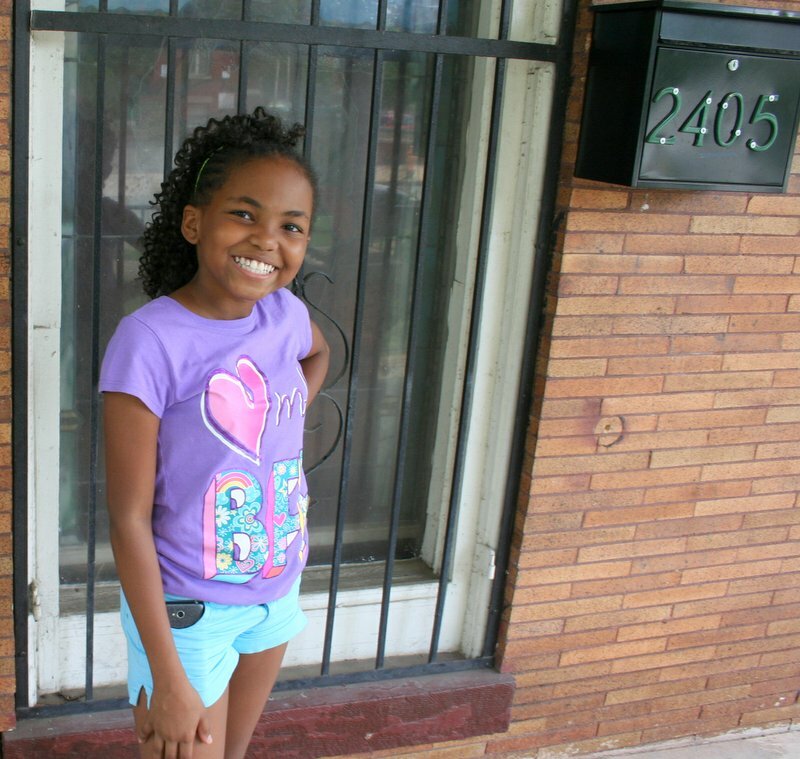 Today, the center’s mission is to stop generational poverty in Reservoir Hill through resources and education. “We want to break the cycle. We have programs for the whole community, including the after-school program and summer camp, a computer lab, and classes for children and adults and a 12-step meeting as well,” he said. In a few weeks, the center will be hosting its annual resource fair. The combination services-neighborhood party fundraiser will offer 27 resource booths (health screenings, wellness), a music festival with bands, food trucks, such as Gypsy Queen, and entertainment for all ages. “Whole Foods is giving out bags of groceries, and we’ll be giving away bags of school supplies,” Green said. Asia, one of the young people working on the fair’s planning committee, shared her vision for the fair. “I want to tell you about some of my ideas. It’s going to be hot, so I thought we would have a splash zone for the kids. We’ll have water balloons and squirt guns and water games,” the 11-year-old said with confidence. When asked about snowballs and a slip and slide, she said they were a good ideas, but probably not on the menu this year.